Watering restrictions and high maintenance costs are driving the trend towards low-water, low-maintenance gardens. In fact, many people are either doing away with lawns and flowerbeds or keeping these water guzzlers to a minimum. Succulents are a great choice for drought-resistant gardens because they can withstand infrequent watering and extended dry spells. There's also no shortage of design possibilities since these plants come in all sorts of interesting forms, colors, and textures. 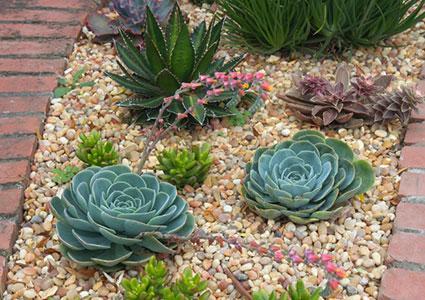 Succulents can be incorporated into any sunny garden as long as it is kept on the dry side, but designing the landscape around a desert theme brings out the best in these plants and provides a long lasting, plant-it-and-forget-it garden. Consider this sample succulent garden plan, which you can easily adapt to fit your available space. Simply right click to download and save this plan. 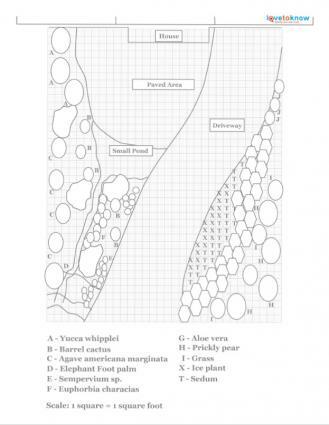 Click here to download this garden plan. Before you begin creating your garden, there are a few things to consider. 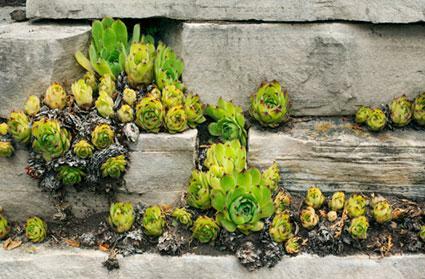 Most succulents will do well in the same soil that other garden plants grow in as long as it drains well. Soil depth depends a lot on the size of the succulents you intend to plant, but a depth of 12 to 18 inches should be sufficient since these plants tend to have shallow root systems. If your soil is compacted or full of clay, it is imperative to add plenty of organic material such as compost. If you aren't sure how well your soil drains, you can check by digging a one-foot deep hole and filling it with water. 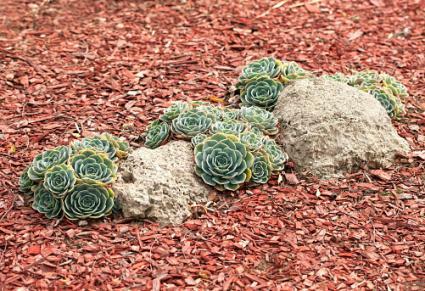 If the water drains in thirty minutes or less, your soil is porous enough for growing succulents. If it's not, you will need to add organic material and check for drainage using the same method in another spot. 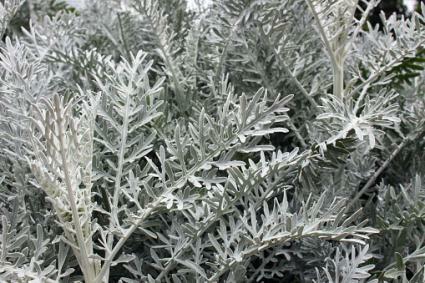 Pay careful attention to the spacing requirements listed on the labels of individual plants. In general, succulents don't mind being close, but it is always best to follow the spacing recommendations that are given for each plant. As far as overall spacing for a succulent garden, you can easily scale any plan to suit your space from as little as one square foot to larger areas. Simply group the plants in an attractive arrangement that allows you to view the individual plants and then plant them. Succulents thrive in arid conditions and are quite hardy once established. However, they do need ample moisture, especially during the growing season. Rot is the most common problem with succulent plants, and it's usually the result of over watering. Water deeply when the soil feels dry a couple of inches down and be sure to let the soil dry out again between waterings. The natural topography of desert areas around the world includes large stretches of sand dotted with rocky outcrops and occasional vegetation. In a garden setting, these elements can be represented by boulders, rocks, pebbles, and gravel that provide the back drop for cacti and other succulent plants. If your yard already has rocky outcrops, the garden can be planned around them. Otherwise, you can bring in a few large boulders or several rocks and place them in a carefully planned arrangement. Gravel is often used as mulch which covers the space between plants, and it's available in different sizes and warm hues that will suit any color scheme. Adding walkways through your landscape can help you enjoy the garden fully. Paths allow you to take a closer look at individual plants, perform occasional maintenance work and, in case you're growing some edible succulents, harvest the edible parts. Additionally, cacti and several other succulents also have spines, so well-defined walkways may keep you out of harm's way. Pebbles and gravel can be used to line the walkways, or you can pave them with bound aggregate, flagstones or rough-cut granite tiles. It's usually better to pave walkways in high-traffic areas near the house, but try to use natural materials whenever possible to preserve an authentic desert design. 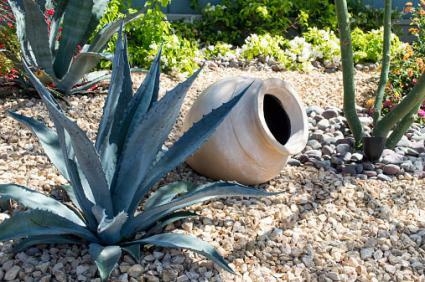 Naturally sloping landscapes are ideal for succulent gardens since they provide good drainage. Very often, earthmoving equipments are used to create slopes and rocky ledges which add more character to the garden. Large slabs of granite can be stacked on top of each other with a bit of soil in between to create the nooks and crannies where succulents love to grow. A water element may look out of place in a desert setting, but having a water feature such as a small pond or a stream running through the garden can be pleasant. If you really have drought issues in your area, you can design a dry creek or pond by using a contrasting color of pebbles to represent water. Either very light colored or nearly black pebbles are used to line the stream or pond bed to create the illusion of water. You can occasionally run a stream of water through the dry creek and pond with a pump. Just keep in mind that evaporative water loss could be very high in dry weather. Plants soften the hard landscape and give it an organic look. When you're designing with succulents, plants are chosen for their colors, textures and growth habits. All plants with fleshy leaves, stems or roots are generally called succulents, and they fall into about sixty plant families. Those most often used in a succulent landscape include the following selections. Cacti - These plants grow in globular forms (barrel cactus), in vertical columns (Saguaro), or in branching forms (Prickly pear). 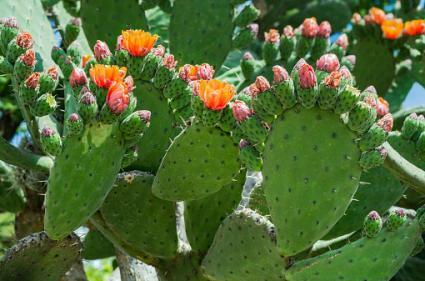 Cacti are mainly known for their thorns, but there thorn-less varieties out there. Yuccas, Agaves, Aloes and Haworthias - Succulents in this group are known for their globular growth form with stiff or fleshy leaves which extend in all directions from a central core. In time, many of them develop a woody stem as the lower leaves die off. Some, like the Joshua tree (Yucca brevifolia), develop a branching, tree-like form. Crassulaceae (Sedum/stone crop, Aeoniums, Echeverias, Kalanchoes, Sempervivums/houseleek) - Many popular rosette-forming succulents fall under this family. They are soft and fleshy all over, and many of them multiply quickly and form hen and chick colonies. 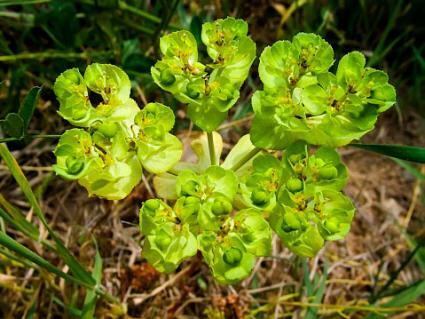 Euphorbiaceae - The Spurge family has many shrubby and tree-like succulent plants, and some produce colorful flowers. 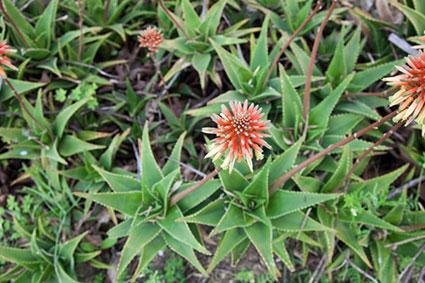 Ice plants and Senecios - These fleshy-leaved succulents have a branching growth, and many of them form a carpet which covers the ground. Designing an attractive succulent landscape is fairly easy and following a few tips can help you create a garden that rivals the design of professional landscapers. When designing a landscape with succulents, it is essential to remember that less is more. Too many varieties crowded together can give the garden a 'conservatory' look. Choose the plants carefully and keep the desert theme in mind. Start with the large and long-lived specimens. These plants should be spaced well apart with large swaths of graveled areas in between. Many of them are slow-growing, but they can become quite large over time. Include only one or two large specimens with tree-like form and add a few medium-height plants for balance. Succulents with vertical growth should be interspersed with globular and bush-like plants. Many succulents have such interesting and unique features that people often end up becoming collectors and making a jungle out of desert plants. To make a pleasing landscape, you should aim to group a few select varieties and repeat them in a few areas, rather than fill the landscape with single specimens of several types of plants. Once you finish your succulent garden, it will be a place of beauty and relaxation. Succulents have a way of just captivating your attention, and they add an element of tranquility to any space. Set aside time to spend in your garden simply enjoying what you have created.